I had big plans for this Halloween. I wanted to make something huge - probably as big as a large pumpkin. 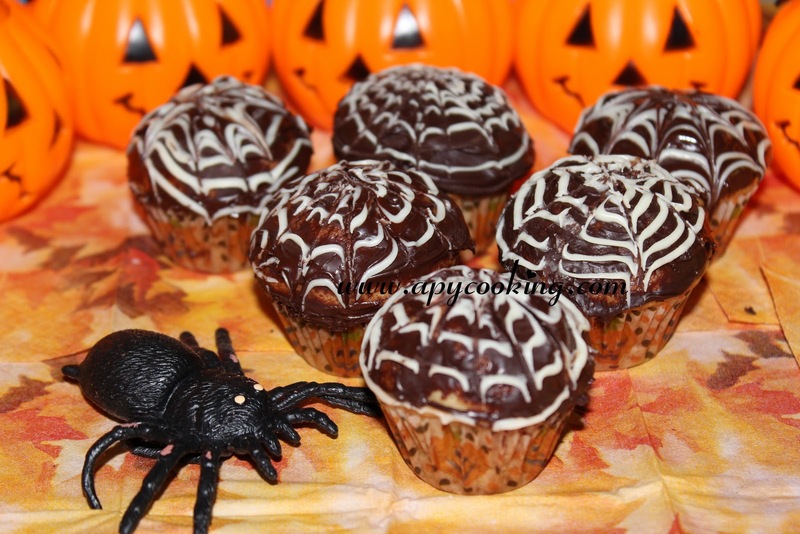 But I ended up making these cute li'l spiderweb muffins for my son's Halloween parade in school. No complaints. Except that I wish I could spend some more time and make them a little neater. 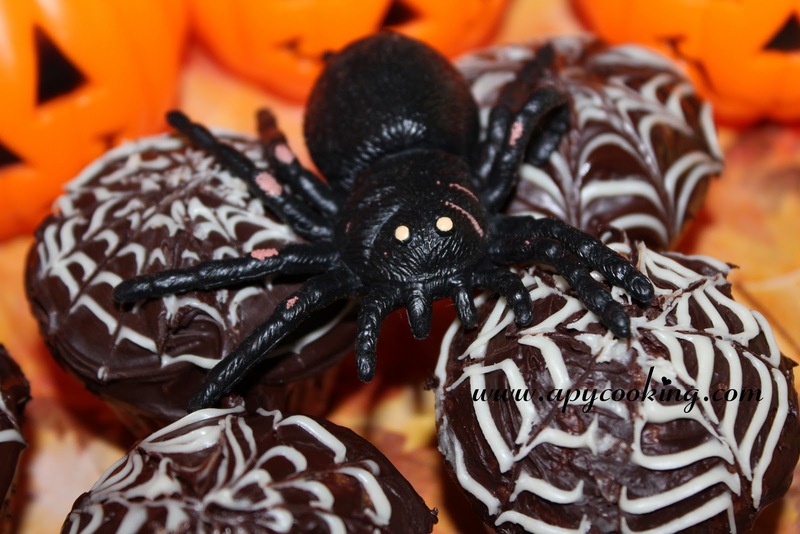 I also wanted to add an edible spider and a couple more tasty accessories. But I was terribly short on time and decorated 24 mini muffins in less than 15 minutes! (dear hubby helped too). Anyway, that's just about how much time it takes to make these cute spiderwebs. To make these spiderweb muffins, first of all, you need some delicious muffins. 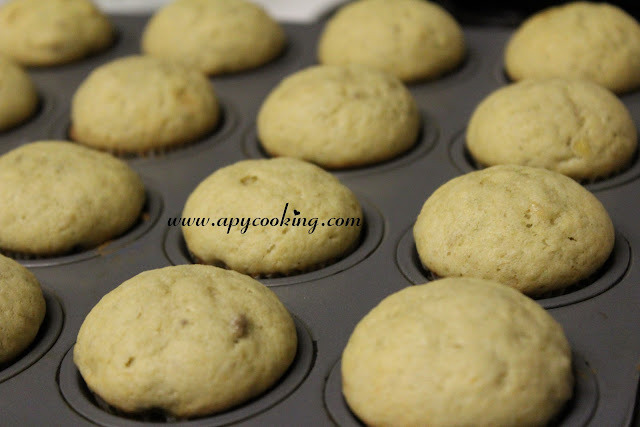 I used homemade banana muffins but you can use any store-bought ones too. Since it's for Halloween I chose liners with pumpkin designs. To make the spider webs, you need two ingredients - white chocolate and semi-sweet (or milk) chocolates. I used 3/4 cup white chocolate chips and 5oz semi sweet baking chocolate squares. You could use semi-sweet or milk chocolate chips too. Microwave semi-sweet chocolate squares (or chips) for 1 minute. Stir well. Microwave for another 30 to 50 seconds. Mix well. Allow to cool. Separately microwave white chocolate chips for 1 minute. Mix really well. Microwave for additional 15 seconds. Mix well. Allow to cool. Transfer into a piping bag or a ziploc. Snip off a tiny piece of the edge using a pair of scissors. Now take a mini muffin and spread the melted semi-sweet chocolate around it. Take the piping bag filled with melted white chocolate and draw concentric circles on top. Using a toothpick, immediately pull lines along the diameters. There, you got your spiderweb! Thank you internet. Do not touch the muffins (as tempting as it may be) for a few minutes till the chocolate hardens. Before you decorate the muffins, make sure they have cooled down. 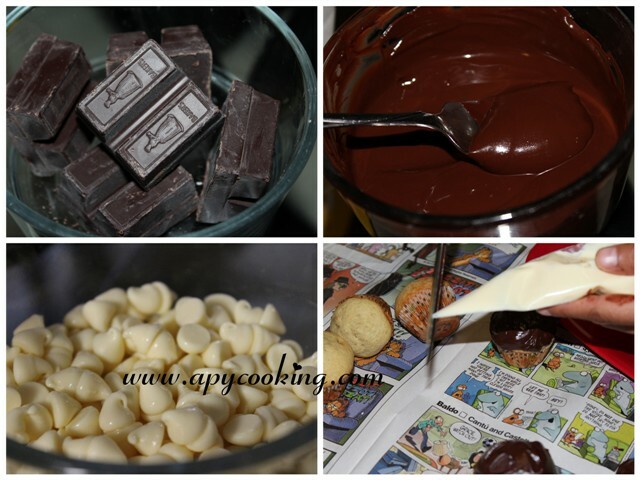 The melted chocolates (especially white chocolate) tend to harden even at room temperature, so work fast. If you feel it's hardening as you work, microwave for a few seconds and mix well. 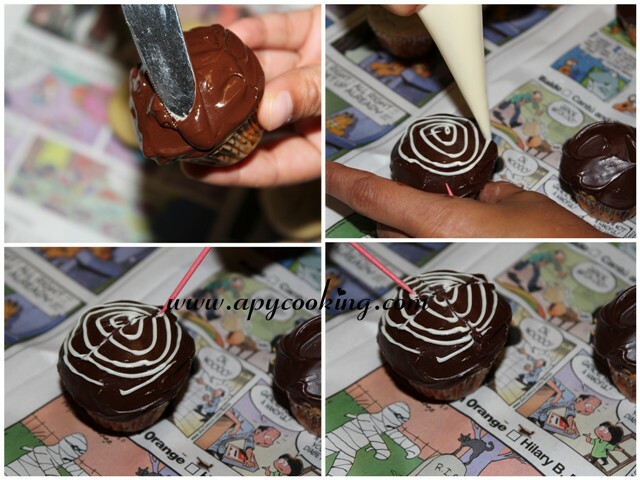 You can place the piping bag in the microwave. I find mini muffins cute. Very very cute. Specially when they are held by tiny little hands. Like my son's. He absolutely loves mini muffins. I first baked these when his friends came over for a playdate. I baked these again today. Thought I'd share them with you. I found the recipe in Sweet Oven Lovin' and made a couple of minor changes. Both times these have turned out pretty good. I made these today specially for my son's Halloween parade at school. These are the shots taken before decorating. If the decoration comes out good, these will probably feature in my next post too. Preheat oven to 375ºF. Line mini muffin pan with liners. If you don't have liners, grease them well. In a large bowl, with a hand held electric mixer, beat sugar and oil. Add eggs one at a time and beat. Add vanilla and beat further. To this add the mashed bananas and beat well. Add flour mixture little by little and beat at low speed. [Don't add all at once as the flour will fly all over]. Do not over mix. You can even mix with a fork or large spoon. 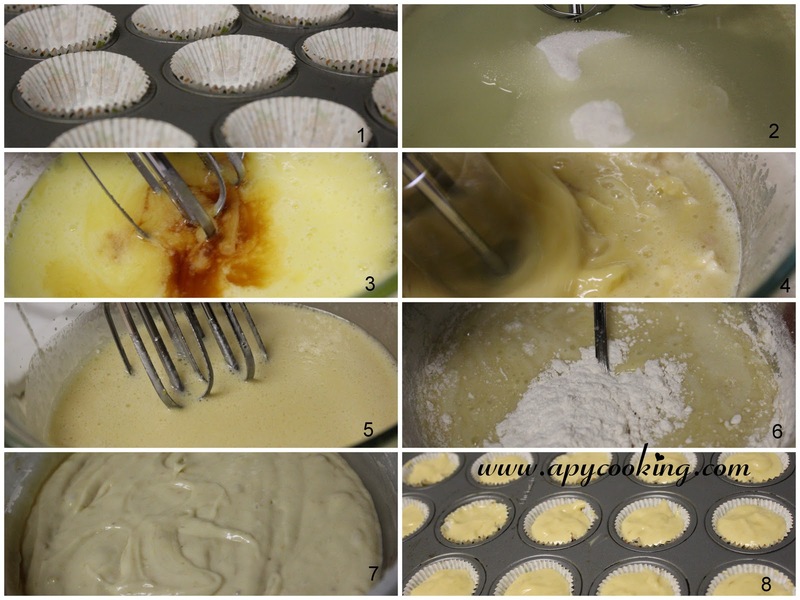 A few lumps are ok.
Pour the batter into the muffin liners, till each liner is almost full. The muffins will expand so leave some room. [ I used two spoons to fill the liners. One to scoop out the batter from the bowl and the other to scoop out the batter from the spoon and scoop it into the liners]. 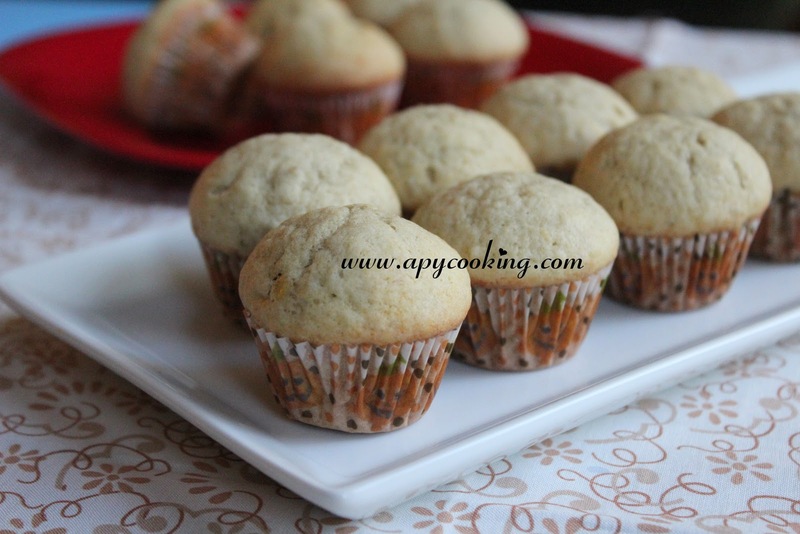 Bake for 11 to 12 minutes or till fork inserted in the muffin comes out clean. Allow to cool completely. Tastes better after you refrigerate for sometime. Makes 24 to 28 mini muffins. A tad late to wish you all, but this week's been very hectic. Sometimes I wonder whether I have too many things on my plate, other times I find life very exciting because of this and there are times when I want to do nothing but sleep! Anyway here's a small treat to you all for Diwali. I found the recipe in Manjula's Kitchen and followed it to a T. Except that I powdered my cashews a little too coarse. Thing is, if you try to powder it too fine, it releases some oils and gets ground in it, which makes it lumpy (exactly what happened to my first batch). So grind it just for a few seconds. 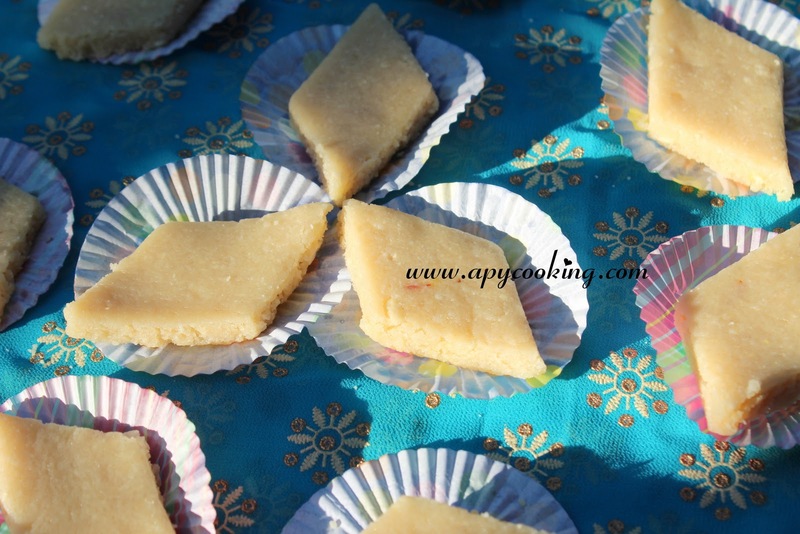 Mine turned out too coarse as is evident in the burfi. I also added some ghee towards the end. In a small saucepan, combine sugar and water and boil on medium high heat. Keep boiling for 15 minutes or so (keep stirring in between) till you get one-thread consistency of sugar. Add saffron strands and mix well. [This was the first time I ever made a burfi which required one thread consistency. I waited too long and the mixture became too thick. As suggested by Manjula, I added some hot water]. Meanwhile dry roast cashew powder in a deep bottomed pan on low heat for 4 to 5 minutes. 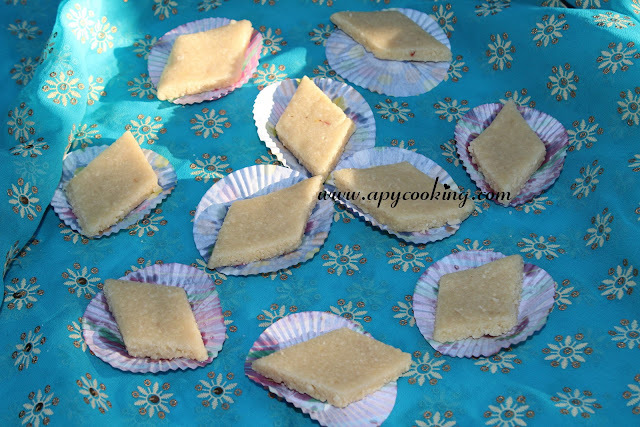 When the sugar solution reaches the desired consistency, just pour it on top of the cashew powder and mix well. 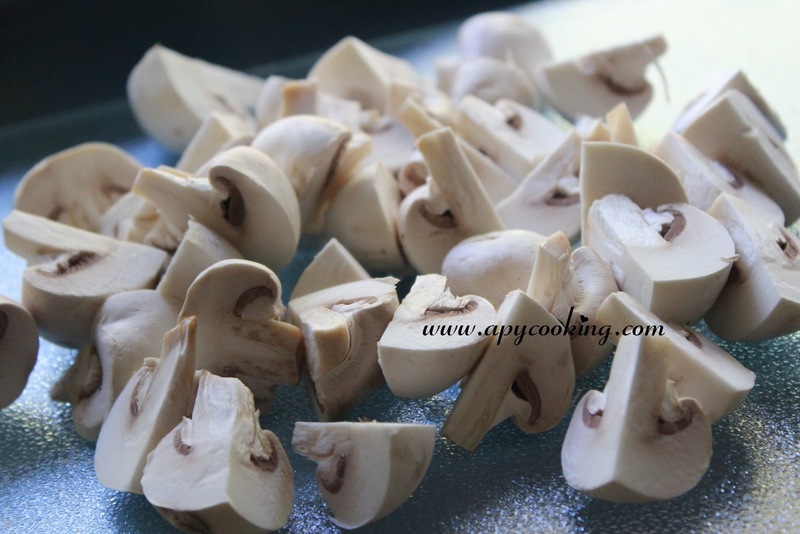 If the mixture is too flowing, cook for a few minutes till it becomes dry. Keep a plate greased with ghee ready. Transfer this mixture onto it and spread it across. Since my mixture was too dry i put it on a cutting board and rolled it with a rolling pin. Keep pressing and rolling till you get the desired thickness. Allow to cool for a few minutes. Cut into squares or diamonds. Hoping you all are having a fun Diwali! It's funny how things you haven't been too fond of make you crave for them when you are far away. It first happened when I moved to Bangalore after marriage. Along with all the memories of Mangalore that would come rushing in, gheeroast would make it's absence felt. Which was very surprising, because though I did have it a few times in restaurants, I was never a big fan of it. 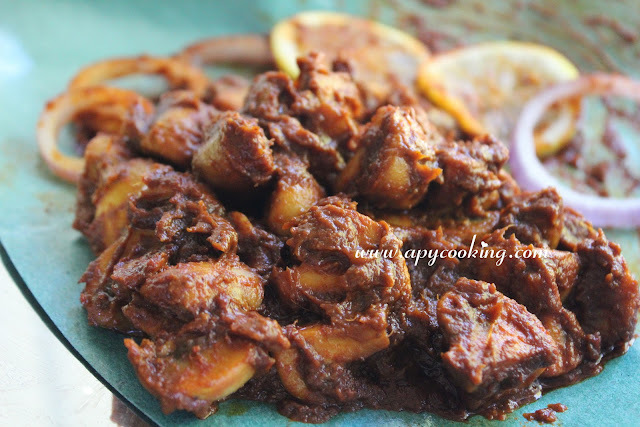 And then one day my uncle who was visiting Bangalore brought some chicken gheeroast with him from Anupama (Abhiman), a famous restaurant in Mangalore and probably one of the best ghee-roast producing 'factories'. And I craved for more. 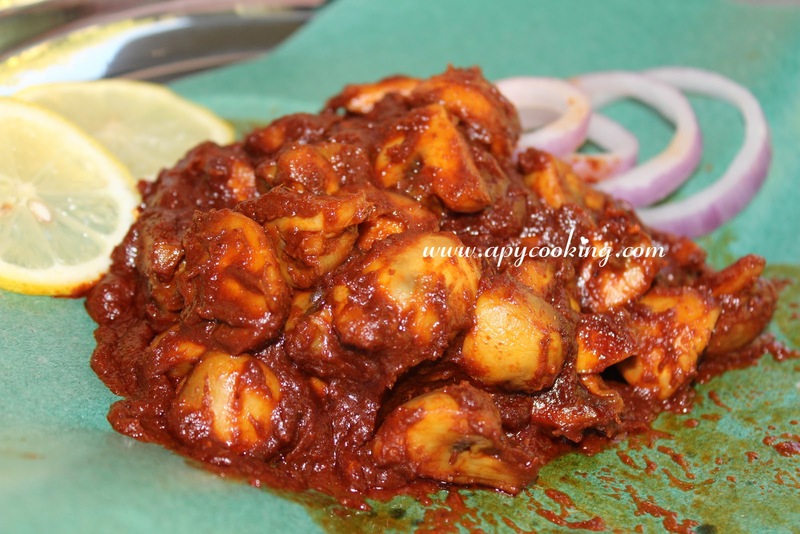 I went in search of restaurants in Bangalore which served gheeroast. Seriously, who does that? Lots of Mangaloreans far away from Mangalore do. Because there are some very delicious Mangalorean dishes which you cannot find everywhere. Anyway, my search for ghee roast in B'lore did get some positive results. However, far away in this land, though you find an Indian restaurant in practically every street, Mangalorean dishes are a rarity. Ghee roast is all about ghee and chillies. In restaurants if you look closely at this dish you will find it lying in a bed of ghee. Making this at home has the advantage of reducing the ghee or using substitutes like oil, though it's ghee that gives all the flavour. The chillies typically used are a variety called byadgi chillies, or kumte mirsang in konkani. I got mine from an Indian store close by. These chillies are not too spicy and they lend a deep colour to the dish. This recipe is from my aunt, Nandini Pachi, who guessed the ingredients after tasting ghee roast in several restaurants. Adjust the chillies according to your taste. However, the beauty of this dish is in the spice level so if you don't like things too spicy, you may want to stay away from it! Roast red chillies with a few drops of oil. Remove. In the same pan, dry roast coriander seeds on low for a few minutes. Switch the gas off, immediately add 1/4 tsp haldi powder and curry leaves and roast. Allow to cool. 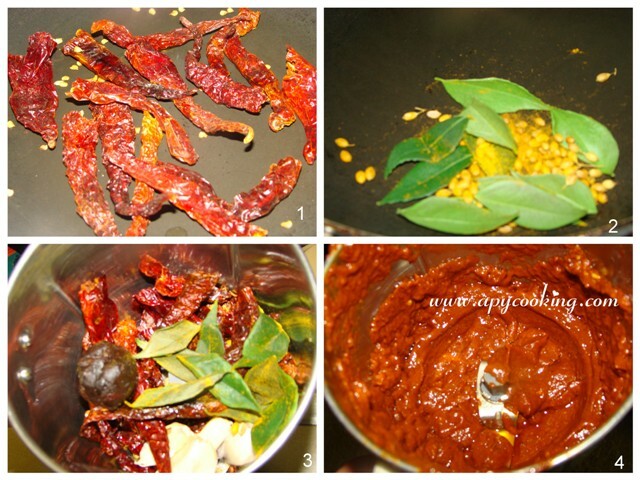 Grind the above with roasted chillies, tamarind, garlic and salt with cold water (approx 1/2 cup), to get a smooth paste. 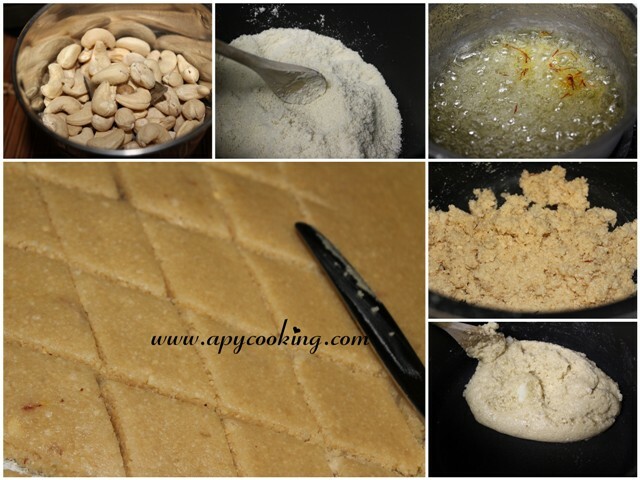 In a large pan, heat ghee. Add 1/4tsp haldi powder and roast for a few seconds. Add mushrooms and salt to taste and sauté for 4 to 5 minutes. Now add the ground paste and roast for a couple of minutes. Add about 1/2 cup water [You can wash the mixer with a little water and add]. Cook uncovered for 8 to 10 minutes till water evaporates [keep stirring]. 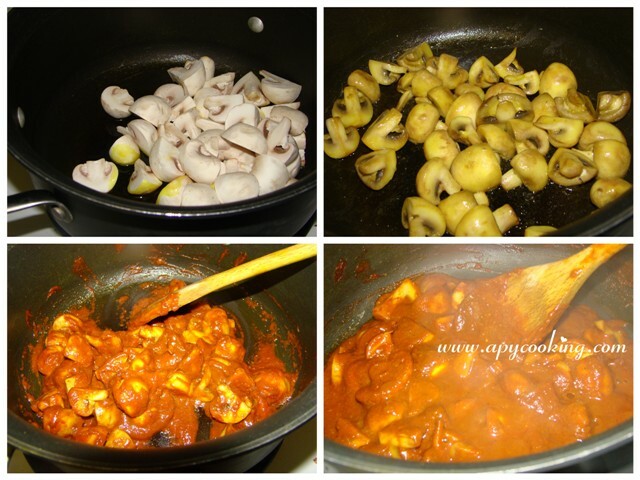 Relish with naan or chapatis.